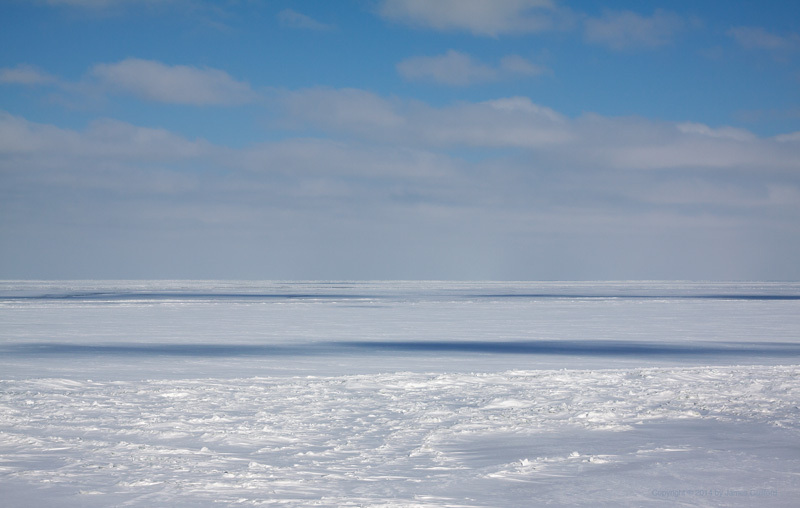 Lake Erie today looked every bit the arctic or Antarctic desert. As far as could be seen to the north was a vast expanse of brilliantly lit snow-covered ice. Close to shore, shards of broken ice plate piled up a bit, accentuated by drifts of wind-driven snow. Here and there were dark patches, scudding across the white plain; they were the shadows of clouds floating above and behind me. Air moved across the lake as well and at 16F, bit hard my face and hands.